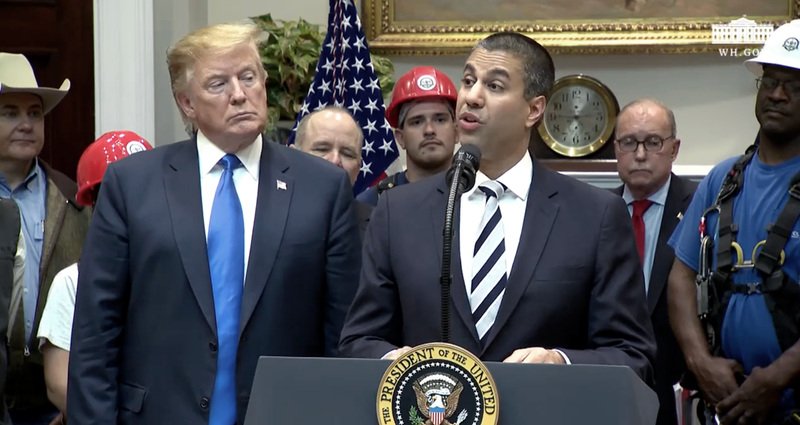 APRIL 12, 2019 / President Trump, FCC Chairman Ajit Pai announce a major push towards 5G deployment during a special event held in the White House. — Big auction: FCC will begin its third 5G spectrum auction on December 10, 2019, which will be the largest spectrum auction in American history to date for commercial use. It will consist of 3,400 megahertz in three different spectrum bands. Since November 2018, the FCC has auctioned 1,550 megahertz of spectrum for use by commercial wireless providers. — Big money: Pai also announced plans to create the Rural Digital Opportunity Fund, which will inject $20.4 billion into high-speed broadband networks in rural America over the next decade. Today's announcement comes in the face of rising competition from China and other nations. South Korea became the first country to deploy 5G network nationwide. "Whichever country succeeds at deploying 5G early and on a massive scale will reap dividends and shape the global economy for years, analysts say," the Washington Post reports. Local Time: Tuesday, April 23, 2019 07:12 AM PDT – Page Load: 0.2925 Sec.